as Flynn described in his memoir, which became the basis for the 2012 movie “Being Flynn.” The Scituate native’s LATEST POETRY COLLECTION, “My Feelings,” will be published IN JUNE. 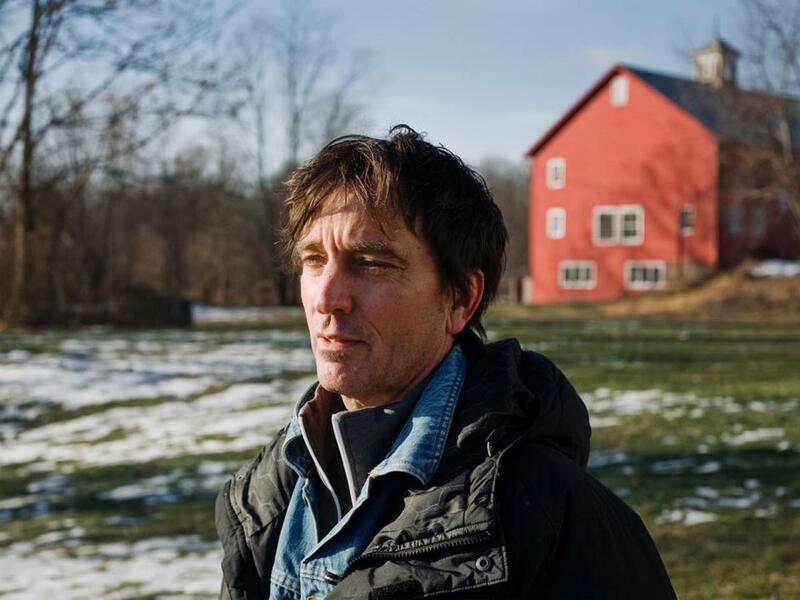 He will read at 7:30 p.m. on Friday and at 11 a.m. Saturday at the Peabody Essex Museum as part of the Mass Poetry Festival. General admission is $15. FLYNN: I have a stack of poetry books. Beth Bachmann’s “Do Not Rise,” Tarfia Faizullah’s “Seam,” Jamaal May’s “Hum.” I was just at a major conference with these people. It’s hard to be poet and not know your fellow poets. BOOKS: Do you read mostly poetry? FLYNN: I’m also reading Maggie Nelson’s memoir “The Argonauts,” which is nonfiction. I read mostly poetry and nonfiction, some fiction and some children’s books. If three people from different parts of the world talk about a book then I think I should read it. BOOKS: What kind of nonfiction do you read? FLYNN: Mostly lyrical WORK s like “The Argonauts” and Claudia Rankine’s “Citizen’.” I’ve been reading a lot of GEOFF Dyer. He’s a little less lyrical than them, but he’s got such a strong voice, and I just love his mind. There is something about the nonfiction voice that is interesting to me right now, something about that tension of the self wrestling with what it is to be alive right now. BOOKS: What’s the last thing you read that knocked you out? FLYNN: The very last thing I read. This short essay by Brian Doyle, “Joyas Voladores,” WHICH IS what early European explorers in the Americas called hummingbirds. I was just blown away by it. One of my PhD students brought it in for me. It was her favorite essay. Now it’s my favorite essay. BOOKS: Do you read for escape? FLYNN: No. That terrifies me. I have plenty of other ways to escape. I wouldn’t do that to reading. Reading is this sacred act. When I was a kid my grandmother used to buy books by the pound and read them just to pass the time. That didn’t seem to be the best use of one’s time. I prefer to be actively engaged. I want to feel more alive, not less. BOOKS: Do you read to learn? FLYNN: No. What matters to me is the writing. If I’m on a project I will read for research, such as when I wrote about state-sanctioned torture. I read about torture, including novels. I reread J.M. Coetzee’s “Waiting for the Barbarians,” which was about South Africa AND WAS PUBLISHED IN 1980 but spoke to what we were doing in the early 2000s. BOOKS: Whose work have you read the most of? FLYNN: My main touchstone that I keep returning to is [Samuel] Beckett. I haven’t read his trilogy of novels in a while, but I loved it. I also love his play “Krapp’s Last Tape.” The way he represents memory in that is fantastic. BOOKS: Do you read biographies? FLYNN: I’m not so interested in biographies of famous people beyond Stephen Greenblatt’s BOOK ABOUT Shakespeare, “Will in the World,” but Shakespeare is Shakespeare. I read a lot more memoirs. One of the great memoirs of the last few years I’d say is Kelle Groom’s “I Wore the Ocean in the Shape of a Girl.” I resisted Joan Didion’s “The Year of Magical Thinking” for a long time, but when I read it I loved it. It’s on the best-seller list, but it’s a great book. BOOKS: Do you have any books on your shelves that mean a lot to you? FLYNN: The first book I loved as a child “The Magic Monkey” by Christina and Plato Chan. My name is written in it in crayon. I was hoping my 7-year-old daughter would enjoy it, but she hasn’t taken to it. I’m going to give it another try.